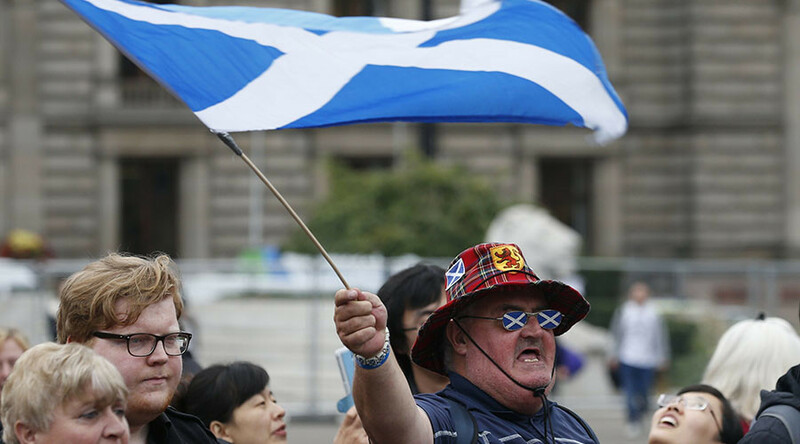 The British government could block a second Scottish independence referendum, according to Defence Secretary Michael Fallon, who says London would not facilitate a repeat of the 2014 plebiscite. Fallon told the Herald Scotland the Scottish government does not have a mandate to organize another vote on the issue of independence, and that Westminster would not assist the First Minister in holding one. When asked if he would facilitate another separation vote during his parliamentary term, he replied: "No, forget it. The respect agenda is two-way. “We have no plans to help them [the SNP government] hold a second referendum." “She [the First Minister] is constantly asking us to respect the SNP Government but she has to respect the decision of Scotland to stay inside the UK in 2014 and the decision of the UK to leave the EU. Respect works two ways,” Fallon added. He said Sturgeon should respect the result of the 2014 referendum in which 55 percent of Scots voted to remain part of the UK. He said the Scottish government did not have a mandate because it failed to secure a majority at Holyrood. "We may well have seen peak SNP. They lost the referendum, they lost seats. There are other voices in Scotland now, not least Ruth Davidson's." Fallon’s comments come after Sturgeon warned she will decide in the coming weeks whether to call another independence referendum after talks with Prime Minister Theresa May failed to her resolve concerns about Brexit. Scottish Secretary David Mundell has previously confirmed “inter-governmental discussions” on proposals brought forward by the devolved administrations would be intensified. “The question is not about can there be differentiation [for Scotland], the question is whether Scotland would benefit from differentiation and that’s what really has got to be at the heart of these discussions,” Mundell said. "In the wish for a separate deal for Scotland driven by ideology or is it really based on economic fact and Scotland's future needs?"